When will be Phyllis next episode air date? Is Phyllis renewed or cancelled? Where to countdown Phyllis air dates? Is Phyllis worth watching? Oscar and Emmy-winning actress Cloris Leachman faces an uncertain future and an unresolved past when, as the widowed Phyllis Lindstrom, the character she created on "The Mary Tyler Moore Show," she moves to San Francisco and a new life. With Lars gone, Phyllis decides to move back to San Francisco and must, for the first time, assume the responsibilities for supporting herself and her daughter Bess. 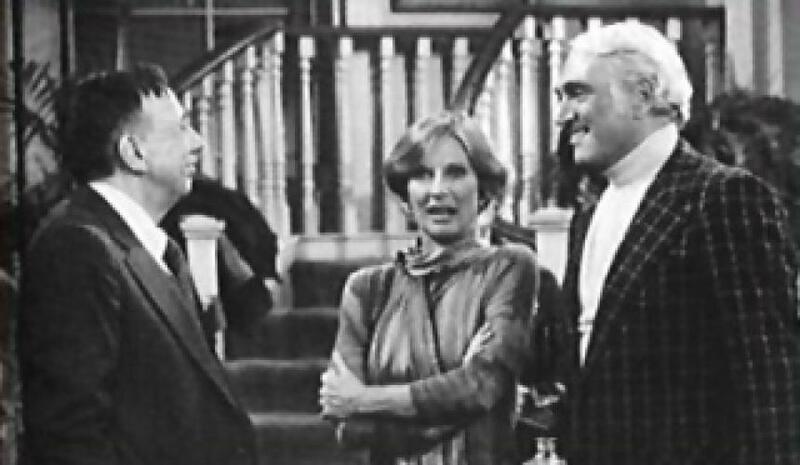 Moving in with Lars' mother Audrey (Jane Rose) and Audrey's second husband, Judge Jonathan Dexter (Henry Jones), Phyllis begins a search for work. Phyllis' pride provides a stumbling block to a job offer as a photographer's assistant at a commercial photo studio run by Jane Erskine (Barbara Colby) when she learns that Julie was once romantically involved with Lars. Deciding, finally, to face life straight on, Phyllis heads for Julie's studio where she meets photographer Leo Heatherton (Richard Schaal) and takes part in a job interview with Julie that is unusual, even by Phyllis' standards. EpisoDate.com is your TV show guide to Countdown Phyllis Episode Air Dates and to stay in touch with Phyllis next episode Air Date and your others favorite TV Shows. Add the shows you like to a "Watchlist" and let the site take it from there.